Stand alone wall mounted DMX controller. 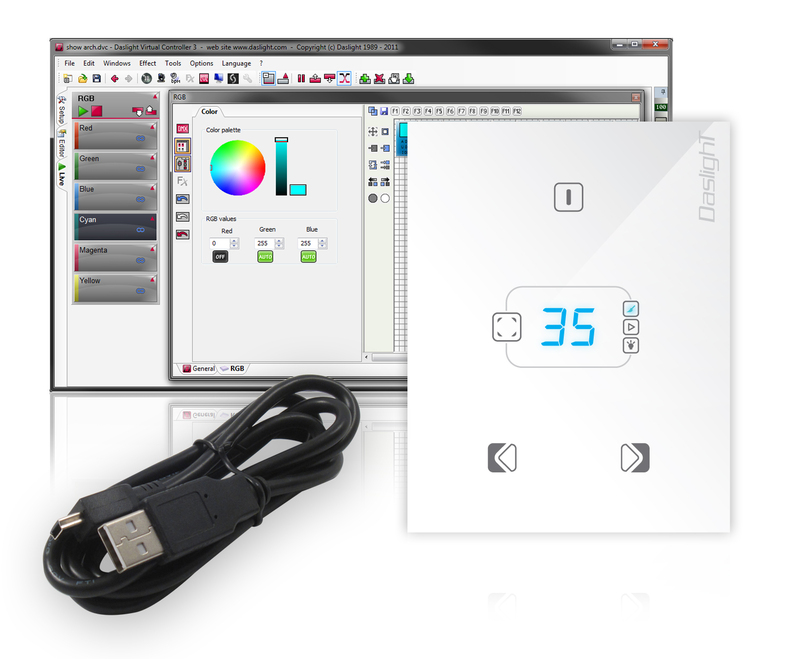 New model 86x110mm glass panel with 4 Touch-sensitive buttons and display. 512 DMX output channels. 32K stand alone memory. Micro USB connector. USB connection only. This product can not be controlled through ETHERNET and WIFI network. Delivered with a micro USB cable and installation CDROM including user manual. AC/DC adapter optional. Compatible with Windows XP/VISTA/7/8 32/64-bit.